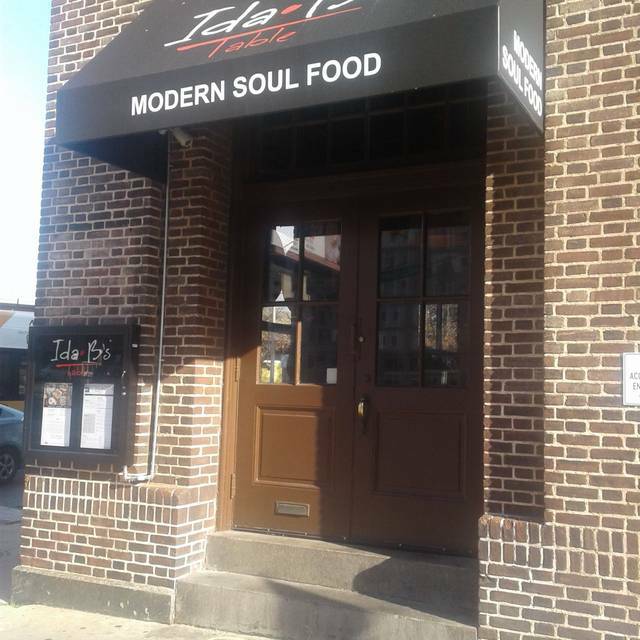 Ida B’s Table is a modern soul food restaurant with four distinct areas for guests to enjoy: the bar, the parlor, the drawing room, and the main dining room. The restaurant serves breakfast, lunch, and small plates during happy hour, and dinner on the weekdays. Weekend service extends from brunch through dinner. This place is a very nice establishment, my fiancee Patricia and I could stay for hours! You have to get to know the owner, she's very relatable and friendly. It was a pleasant surprise to see Jada Pinkett's mom, Adrienne Banfield-Jones there today. My fiancee was even able to take a picture with her. The food we had was exquisite. We both had the crawfish bisque and I had the Softshell Waffle. Patricia had the Brisket Benedict, which she exclaims, "It was to die for". Finally we shared the coffee cake bread pudding. The whip cream topping melded so well with the sauce. Every thing was delicious and we will certainly be back again. Wonderful overall. The servers were nice and very knowledgeable about menu items. The restaurant was nicely decorated and made you feel the energy of Mrs. Ida B. The food was reasonably priced, tasty, and nicely plated. Glad I was able to have this experience on my trip to Baltimore. Overall, the experience is was good and we will dine there again. I expected more flavor in the mac and cheese, otherwise food was delicious. The service was good also; very professional and check ins at the right time (not too much or too little). There was a band and the music was appropriate. Ida B's is a good restaurant overall, however, some of its rigid rules can leave a sour taste in your mouth. I highly recommend you arriving prior to 2pm because the Restaurant's Kitchen closes promptly at 3pm. No exception. This rule can also affect customer service because if you have a product and/or a meal in this case, as long as the patrons are within the restaurant, they should be able to be served without feeling rushed. We were new to the restaurant so we had questions and we ordered a variety of food items. One would think that's a good thing for revenue if we continued to order meals, etc. Yet, when the server tells you sorry the kitchen is closed with no exception (knowing they have leftover items they could have sold) it's not good customer service practice. My only reason for giving a high rating for customer service is due to the fact our server was patient with us, welcoming and apologetic as it related to the rules. Perhaps increase your cooking staff if the main chef/owner needs a break in the kitchen or have common food items prepared for take out. This would in fact increase the Restaurant's revenue and make customers happy. I would recommend Ida B's with caution if you don't want to be rushed. Walking in at about 8:25pm with a reservation for 8:30pm, made on open table, we noticed there were sits at the bar. We sat there after informing the host. The bartender came over and immediately informed us that the kitchen would be closing in 10 mins. So being rushed to order, I got the catfish entree and my fiance got the oxtails entree. 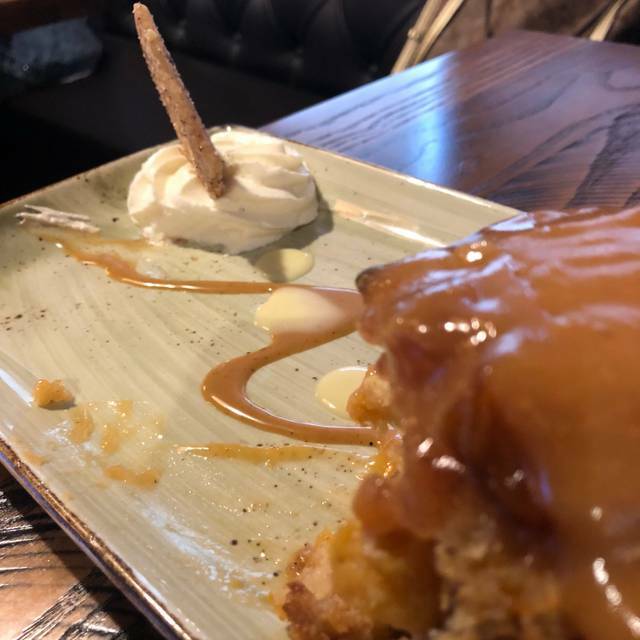 Forgot to order desert at that time, asked if we could about 5 mins later and was told no. Trying to get the bartenders attention, with no name was very difficult. We were able to get the attention of a server once our food was brought out because my mac and cheese and greens were not hot. 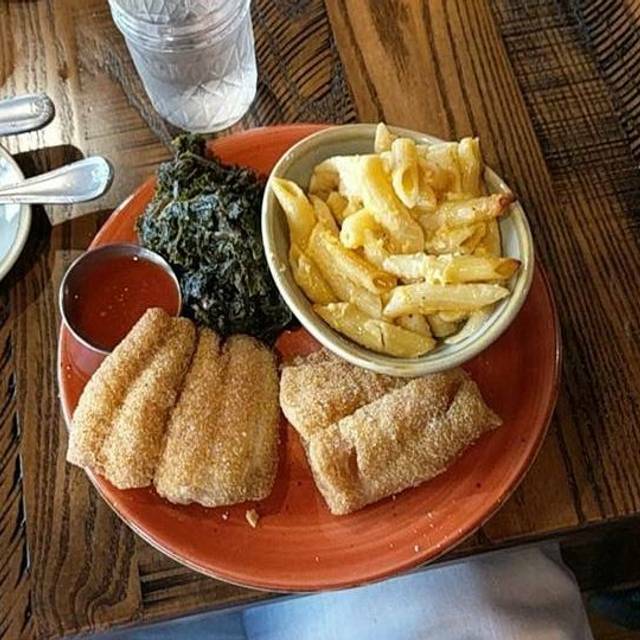 The catfish batter was flavorless. And i love catfish. Needless to say, we sat there another 10 mins without anyone asking if we needed anything and decided to leave. The staff was so focused on closing, the service was downgraded. With the exception of the server who was not assigned to us. Kudos to him. Introduced out of town friends to Ida B’s all was great. Waitstaff was attentive without being annoying. Food order was promptly taken and food delivered in good time. Food was excellent only complaint was the size of the lemonade drinks. Will definitely return! Finally checked out Ida B's for dinner! We've been to brunch a few times, which was great as well. We had an extra guest at the last minute and they were able to adjust things to accommodate our group. Wonderful customer service and the food is bomb!! They had a live band (Saturday evening), so that was a nice touch. The restaurant ambiance was nice, it got a little noisy but overall it is a great place to visit. The food was delicious. Beautiful dining experience. It a love jones vibe. Live music, jazzy professional place. I love it! I would not choose to go back. 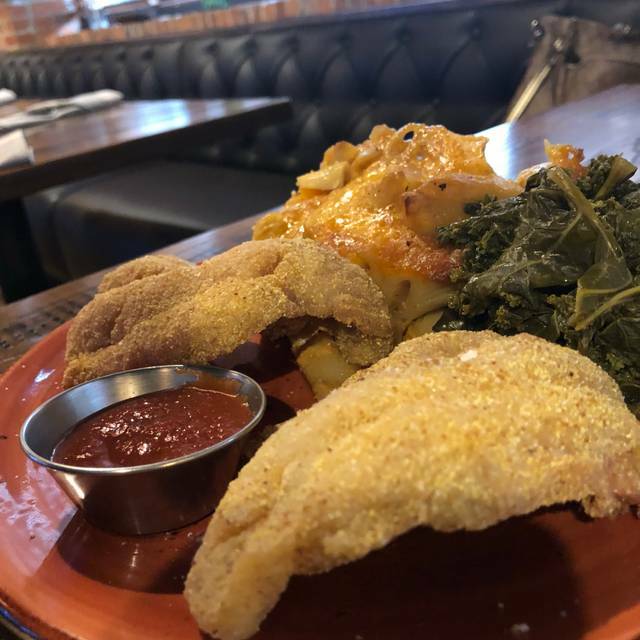 I suppose if we didn’t have an amazing soul food restaurant in Richmond Virginia to compare it to, we would have enjoyed it more. But since we are comparing Ida B’s to Mama J’s, the food doesn’t compare. 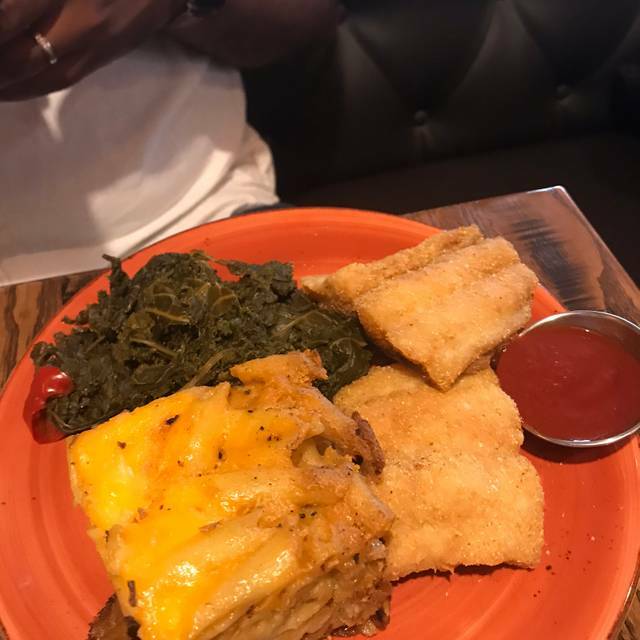 The portions are small...the “spring roll” like app was greasy and not very tasty...the catfish was bland and their homemade hot sauce was too sweet...the brown sugar pie was okay and disliked the buttermilk ice cream. We loved the service and having live music that wasn’t too loud created a wonderful atmosphere. Ida B's is amazing. My friend and I split the Brussel sprouts and the Mussels appetizers, as well as the catfish entree, all of which were delicious. There was a great jazz duo playing that Friday evening - quiet enough to allow conversation, but good enough to make me want to listen. The vibe is great, the service was attentive and the servers were charming and friendly. Highly recommended. 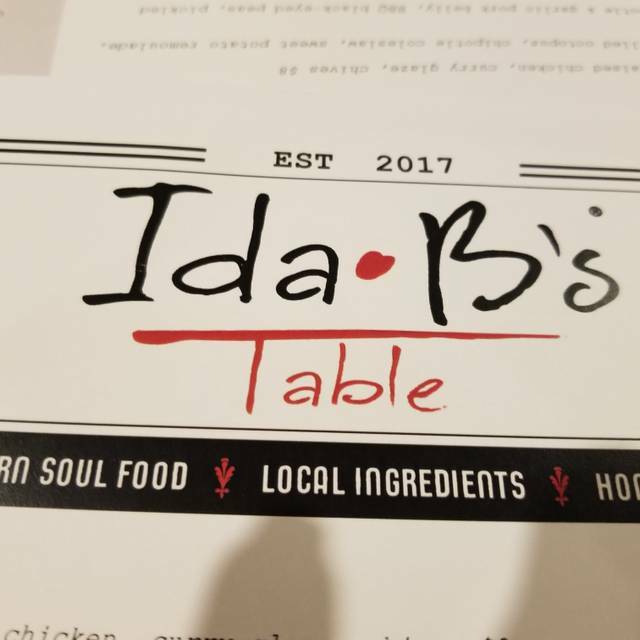 Ida B’s Table is a must for every foodie, and was worth it. We loved the appetizers, the entrees, the desert, and the drinks. Thanks for making our evening special!!! 0verall a good place. Ox tail was excellent. The bar area had a sports bar feel to it and had a TV showing a baseball game, which didn't match the overall atmoshere of the restaurant. 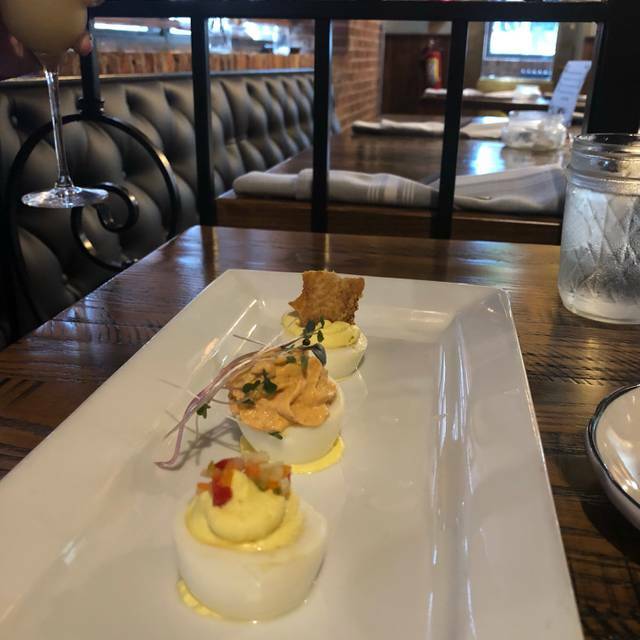 We are both eating Keto and they were able to accommodate that for us with some great substitutions.They do charge for everything though. To include if you want honey with you hot tea. Overall the place was outstanding and we will go there again when in Baltimore. Everything was amazing from the service to the meal! I would drive back from Richmond just for their Shrimp and Grits and hospitality! Delicious food. Friendly service. Live music. What's not to like? I really enjoyed my experience! The service, food and environment was excellent. I will definitely be back. I would like to see Ida B have Resturant hours extended, regular Friday, Saturday and Sunday events. Looking to find other Ida B locations. Maybe another in Wasington, DC. It’s always a pleasure to Be at Ida B’s! My girlfriend and I were visiting from Connecticut! This was the best restaurant we ate at! I must say it’s something invigorating about being in a black owned restaurant, majority or the patrons are black, black art, great service live music and absolutely amazing food! The wait staff was pleasant and informative! The food was well season and prepared! Overall a little expensive but worth every penny! This was my wife and I first time at Ida B's. We enjoyed ourselves. The food was great along with the ambience and customer service. We will definitely tell our friends and family about it and will be back again whenever in Baltimore. I first learned about Ida B's from Samantha Brown's new show "Places to love". I decided to try it during my trip to Baltimore. I am so very glad I did. The restaurant appears to have been newly remodeled. The owner called to confirm my Open Table reservation and greeted us with a warm and welcoming smile as soon as we arrived. It has been quite time since we've experienced the level of quality service we received at Ida B's. I just can't say enough about how friendly and accommodating the staff was. Now, onto the food. In a word, "AMAZING!" We had the fried chicken which was great and every dish we saw delivered looked fresh, homemade and delicious. I would highly recommend a visit to the restaurant. Food is very authentic and delicious. My table got a variety of plates to enjoy so that we could taste everything. The Shrimp & Grits with Blackened Catfish was EXCELLENT. Definitely looking forward to returning. They also have space upstairs to host an event. Something I will consider for the future. My Wife and I actively recommend great hotels and restaurants. To Baltimore / Washington Ida B's is amount the top of the list. I'll often share that Ida B's is a destination restaurant. Well worth leaving DC, Harrisburg, Philly to eat from. ...people do. They consistently return. Ida B's is now my new favorite restaurant in Baltimore. It is more than just modern soul food; it has the ambiance, entertainment, hospitality, and charm of South and its soul. This is not so easy to capture in a restaurant, but they have managed to do it. The fried chicken is the recommended favorite, but the seasonal bread pudding, liberian greens, tangy ice cream, even cornbread are worth the meal by themselves. The night we attended there was excellent music, and it was only matched by the generosity of our waiters. These are not platitudes, but genuinely a unique experience that I highly recommend. In a sentence: we will go back. Excellent experience at Ida B’s for both lunch and dinner. My only disappointment is that I didn’t know about Ida B’s sooner. As a Foodie & Baltimorean, I’m always in search of great Gems all over the DMV. The customer service that Alexis provided during my lunch experience was Genuine and Exceptional. I was feeling some kinda-away when she was off when I came back for dinner two days later. LOL! But, Shane was equally pleasant and very friendly. 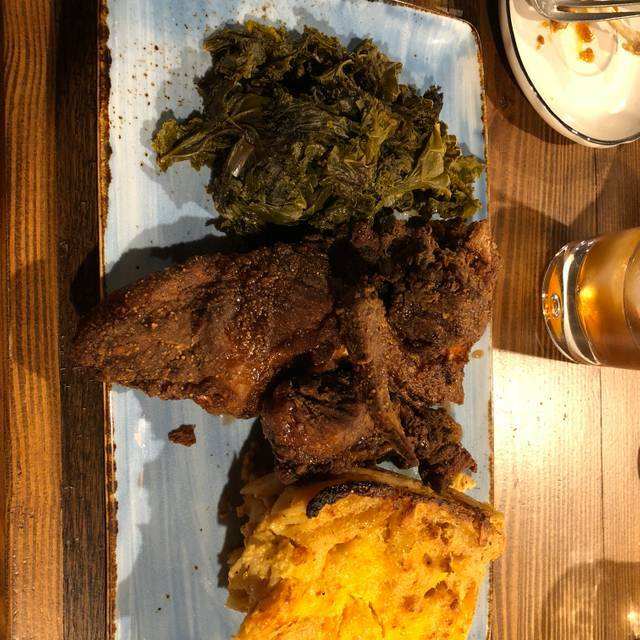 I experienced the Amazing Blackened Shrimp & Grits...Mouth-Watering and my Goodness...the Oxtails over a bed of Mash & Cauliflower w/a side of Collards...Absolutely Amazing! I’ll be making the drive into Baltimore on a regular for this Gem. Enjoyed the Live Music Friday night and the Artwork and Ambience make the restaurant conducive whether on a date, business, or a get-together with friends. Thanks for a great experience! My friends and I had a wonderful experience at Ida B's. The staff were very welcoming and warm. The food was delicious, and the drinks gorgeous. 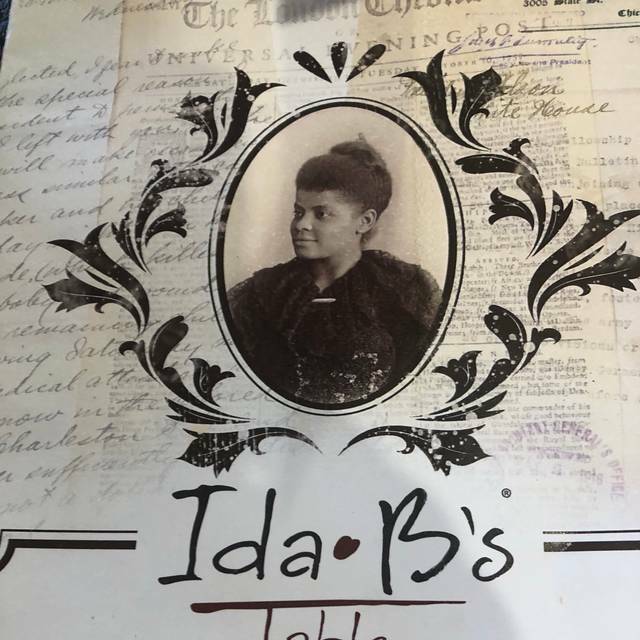 I will go back next time I am in Baltimore, and have already recommended Ida B's to several friends. Great atmosphere. Good food. Lovely dining utensils. Fabulous . OMG the Liberian greens!!!! The drinks were not to our liking but because of personal preference so our server took them back and didn’t charge. Service was phenomenal!!! Fried fish was good - coming from south Louisiana we’re used to way more flavor and seasoning but the fish was overall good. Roasted vegetables were my favorite. Jambalaya was definitely not authentic jambalaya, was more of a bland etoufee, not worth $30. However the atmosphere, experience, service, and dessert were well worth the trip. I’d go back and order the fish again with double roasted vegetables. Great food! Will go back! Possibly, our fried chicken was a little dark. My first experience was better. I asked our server for a larger glass for my water, she said she could only bring me an additional bottle of water. Had lunch with a friend just to catch up. She had shrimp and grits and I had curry chicken with jollof rice. We had mango sorbet for desert. The service was amazing. Very diverse place which I love. Outstanding in every way. Can’t wait to return. Everything was absolutely fabulous! It was our weekly date night and the Mister and I enjoyed ourselves! The food was amazing and the music and ambiance was divine. We’ll definitely be back!